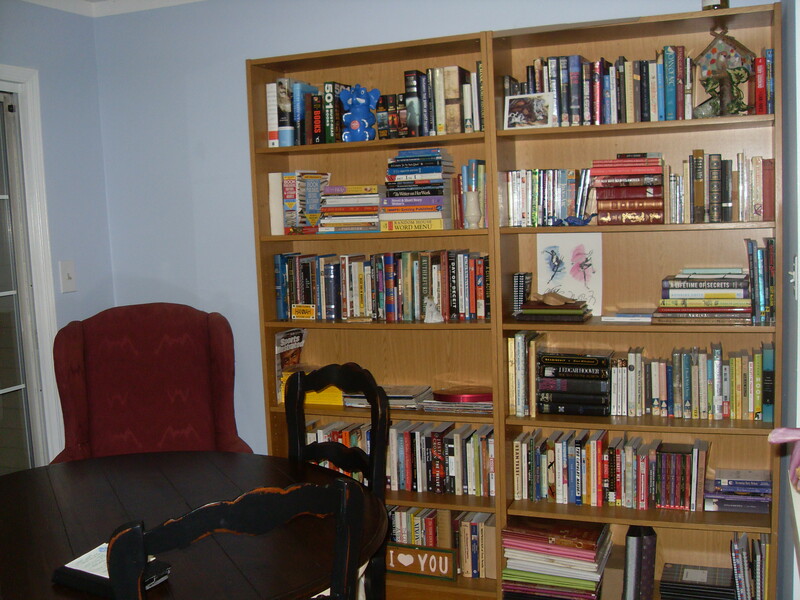 Prompted by Hilary, formerly THE INTERN, I’m sharing an unedited view of my bookshelves. More accurately, this is a shot of my main bookshelves as I have a few others scattered throughout my place. I’ve sort of divided my books into sections. There’s the magazine shelf with all my National Geographic (all, pretty much, unread at this point. Hence why I had to cancel my renewed subscription. I haven’t even read all the issues from the past year! 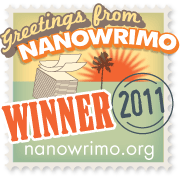 ), SCBWI newsletters, and Cicada issues. The bottom three shelves on the left bookcase are all the books that I haven’t yet read. Everything else it read. There’s a lot of YA books and ARCs from BEA, history books from college that I’m rather fond of (mostly memoirs), and all the novels, memoirs, and graphic novels from my literature classes (so glad I took that graphic novels class!!! I probably never would have picked up those sorts of books otherwise!!) scattered throughout my collection. About fifty of the books here are former library books–complete with the protective plastic covering and the sticker on the binding–that I rescued when my library dumped its collection so they could revamp as a “popular library” with lots of couches and lots less books. They were only between 25-50cents each. How could I refuse giving them a new home? I love inspecting other people’s bookshelves. They occupy this funny space between something private and something on display. It almost feels like spying—but is it? Finally, I just took the picture without changing anything. This is what’s on my shelf. More books cycle in and out of my house than I can keep track of, but these are the ones that have earned at least a temporary stay of execution from the used book store where most of my reading material ends up. So spy away. And if you post a photo of your own unedited bookshelf on your own blog, leave link in the comments—I’d love to see it. How about you share what your bookshelves look like too? Leave your link on Hilary’s blog–and one on mine, please!–because who doesn’t love looking at a pretty, organized (or, perhaps less organized, more deliciously piled, hoarder-style) book collection? Lovely. I like the combination of standing up and laying down.